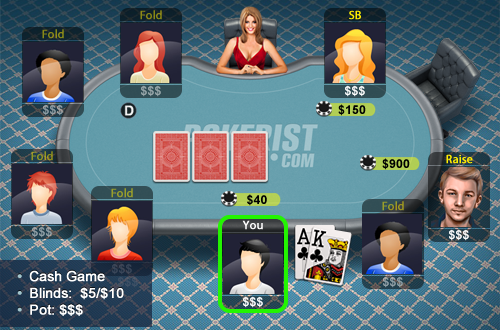 You’re playing an 8 handed cash game, seated in middle position. It is a 5/10 No limit game. You have AK suited and open the action for $40. You get 3-bet to $150 from the small blind. The big blind shoves all-in for $900.